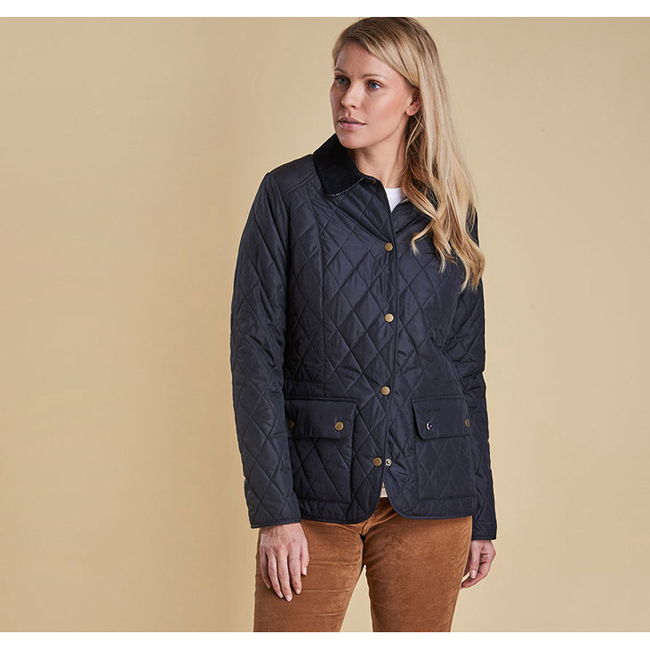 The Barbour Saddleworth Quilted Jacket is cut for a relaxed fit with a flattering shorter length. Its diamond-quilted outer is detailed with unquilted shoulder patches, a corduroy collar, binding and patch pockets with stud-close flaps. Finished with tonal Barbour embroidery.